"Since the beginning of time, the forces of good and evil have fought a never ending battle to take control of the planet..." This simple sentence gives a good summary of the concept behind the Diablo 2 video game. 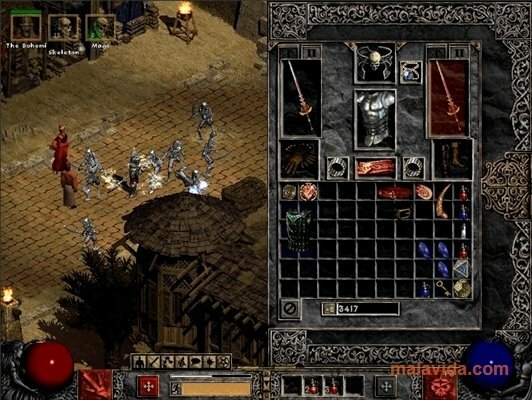 Diablo 2 is the second part of one of the role-playing and action video games that has most captivated the "darkest players", probably due to the brilliant idea that Blizzard had of giving the users access to quite a few free servers, forming the Battle.net network, where the players of some of the games developed by this company can communicate via chat channels and play games of the titles that can be played online. 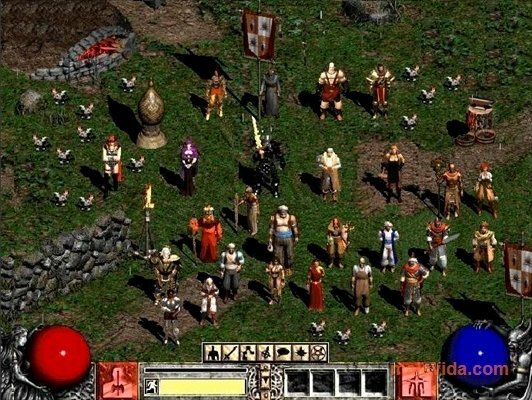 If you liked the dark side of the first part of this saga, you are sure to enjoy Diablo 2, where a wide range of characters appear: Necromancers, Paladins, Sorceresses, Barbarians and Amazons. You will have to choose one of the five types of characters, and succeed in four missions to reach Terror's End, where you'll finally meet Diablo. When we thought that we had defeated evil completely, something unexpected happened, Diablo started to take control of our hero's spirit. Will you let evil control the future of mankind? This is a demo that allows you to play part of the game.